The Executive MBA programme is organized in close cooperation with strategic partners from academia. The content of this programme is a perfect match for labor market needs, while its delivery is based on modern teaching methods in business and management. After completing the programme, you will be able to apply your knowledge critically and understand how to manage business processes and principles in a systematic and creative way. During your studies, you will explore what it means to be an effective and responsible leader. You will also develop advanced leadership competencies that will help you to successfully lead and implement change and innovations in the organization of your choice. During the one-year programme, you will share knowledge with leading managers in the field and gain experience with world-class faculty and business professionals. The Executive MBA programme is specifically designed to meet real-world challenges that the participant, as a determined and talented manager, will face in demanding organizations. It will also introduce an alternative business models, thus providing the student with the flexible tools required for solving problems in the future. The programme is designed to allow the executive to apply the most recent knowledge and management tools directly in his/her workplace. In a challenging but encouraging environment, it builds a deep understanding of core business subjects in all major functional areas, while also emphasizing the skills needed to recognize and adapt to emerging trends and technologies. During the 12-month period of studies, the participant will not only learn but also work on different projects before finally earning the Executive MBA degree. The programme is scheduled to take 12 months to complete, with 35 days in total dedicated to lectures, workshops and local study visits – a flexible schedule that lets you study and work without worrying too much about scheduling conflicts. The Executive MBA programme is structured in 4 modules. All modules in the programme are taught by distinguished and experienced academics and practitioners both from ISM and from leading universities abroad such as the London Business School, DTU Technical University of Denmark, WU Vienna University of Economics and Business, USB University of Stellenbosch Business School (South Africa) and others. We are proud to present the first real Executive Master of Business Administration (MBA) programme in Lithuania; the programme was approved by the Center for Quality Assessment in Higher Education (SKVC) in 2017. The academic degree of Master of Business Administration is jointly awarded by ISM University of Management and Economics and the Kaunas University of Technology. Diploma: Master of Business Administration (MBA) degree will be jointly awarded by the ISM University of Management and Economics and Kaunas University of Technology. Minimum of three years of managerial experience in leading organizations. Strong motivation (motivation letter and individual interview). Fill out an application form at https://my.ism.lt. Submit all the required documents in the application form. Attend an individual interview. Date and time to be agreed. 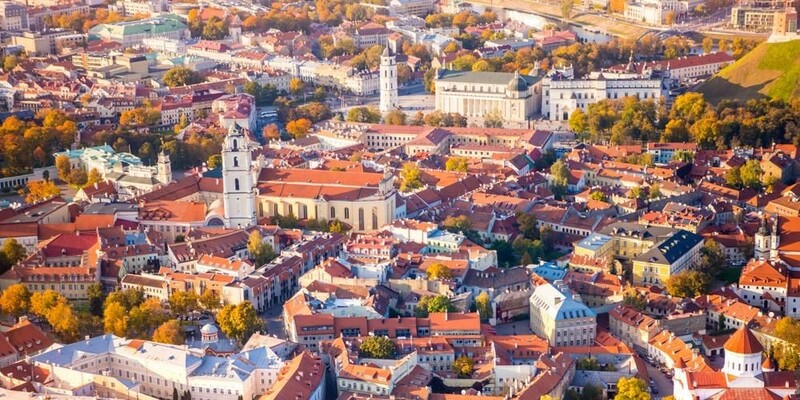 Applicants who have earned their degree abroad must submit a confirmation from the Lithuanian Centre for Quality Assessment in Higher Education (SKVC) confirming that their undergraduate degree is comparable to an approved Lithuanian undergraduate degree. Verified English language skills, which should meet the requirements of the Upper Intermediate level or higher and be tested during an individual interview. A copy of passport photo and identity page. The start of the studies is 13 September 2018.